Bordering the Chilterns and nestled in the town of Prestwood, this stunning Grade II listed building originally came to life as a 17th century hunting lodge. Jump forward a couple of hundred years and the uniquely-named Polecat has enjoyed modern life as a popular local inn, with a reputation for food and hospitality that's worth travelling for. Following an extensive, yet sympathetic redesign and refurbishment, the Polecat is the very best example of a contemporary country pub. 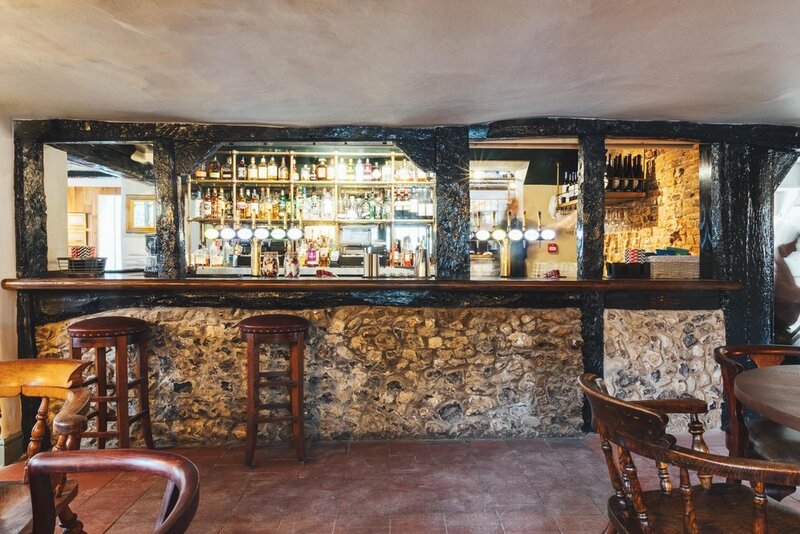 The traditional bar and cosy fire places have been supplemented with a new glass-fronted restaurant accommodating an open theatre-style kitchen and wood-fired pizza oven. We have also given the spacious gardens a tender makeover and added a significant extension to the car park. The menu begins in the morning with breakfast and runs straight through the day and evening, featuring an imaginative and delicious range of gluten-free, vegetarian and vegan dishes together with daily specials. With an emphasis on Mediterranean-inspired, freshly-cooked food, our chefs can be seen plying their craft over the Josper charcoal ovens and grills in an open kitchen. Our freshly made offer includes hand-crafted authentic Italian Pizzas, baked to perfection in our wood-fired pizza oven. Cosy up, relax and simply enjoy our broad range of cocktails, real ales, fine wines, gins and spirits. Our extensive and varied drinks menu includes high quality Artisan coffee brewed with Rainforest Alliance certified beans from estates in Colombia and Brazil, together with a fine selection of teas from Teapigs. Not forgetting our delicious hot chocolate made with Callebaut chocolate shavings and warm, steamed milk. We also support local businesses and thoroughly recommend a pint of Malt Brewery ale, produced by Jenny and Nick, only half a mile from the pub. Everyone is welcome at the Polecat, whatever the occasion; a pint with friends, a relaxed meal out or a special occasion. Parties are well catered for too. Whether it’s a bumper buffet for up to 50 people, or something more intimate, we can organise an appropriate space to meet your needs. Superfast, complimentary wi-fi is available throughout the building.